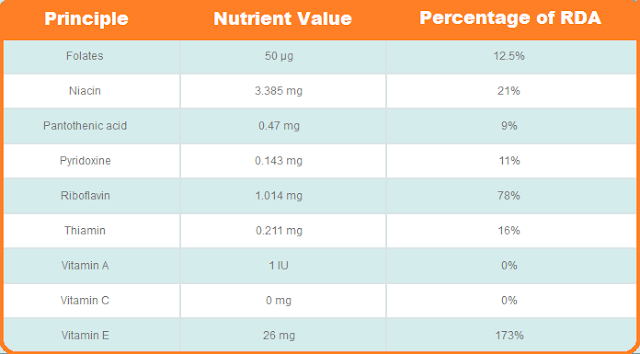 The Nutrition summary 1 Almond has 7 Calories. Soaked almonds help in lowering and maintaining glucose levels and regulating high blood pressure you must eat nuts to control blood sugar and fat. 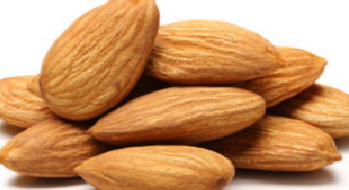 Soaked almonds contain folic acid which reduces birth defects. Almonds or Badam are loaded with monounsaturated fats and polyunsaturated fats, which work in lowering LDL cholesterol in the body. 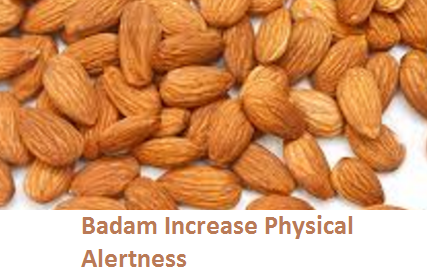 Almonds are also known to increase HDL levels. a handfull of almonds daily can reduce your LDL cholesterol by 4.4%. Regul eating of almonds helps to increase the level of high density lipoproteins (HDL) and they reduce the level of low density lipoproteins (LDL). This balance is very important to a healthy cholesterol level, and a reduction of LDL that is bad cholesterol is always a good thing. 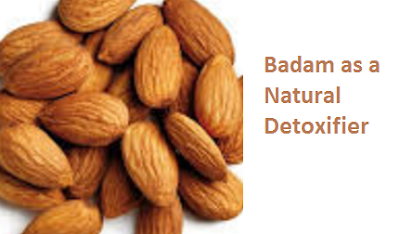 Almonds or Badam being rich in fiber which helps in detoxifying the body. according to a research by the national institute of cancer high fibre diet lowers the risk of cancer. 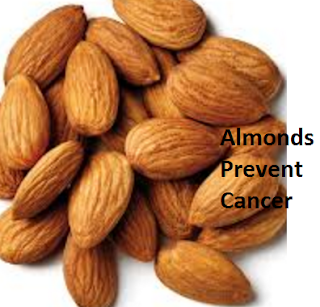 also almonds are full of vitamin E, Phytochemicals, and flavonoids, which controls the growth of breast cancer cells. 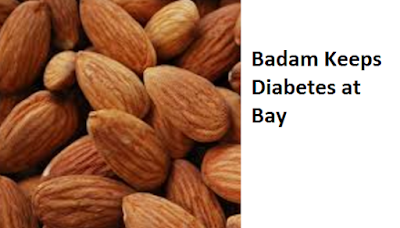 Having a low glycemic index of only 15 almonds are great addition to your diet to keep yourself safe from diabetes. Research has proven that almonds help to keep blood sugars under control even after meals. Almonds are recommended for those suffering from type 2 diabetes as it provides magnesium and manganese which diabetics are known to be deficient in. Our body needs various nutrients to get energy. 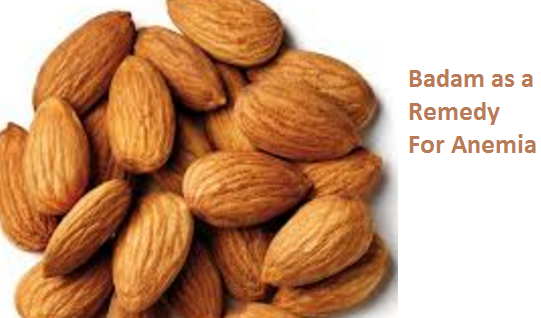 Almonds are full of such nutrients like magnesium, riboflavin, and copper, which help in generating energy. 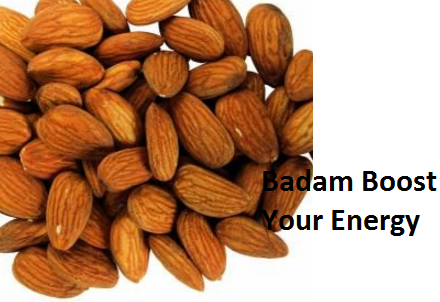 Munching on a handful of Almonds or Badam is a great way to boost your energy when you feel tired. Folic acid plays is important for healthy cell growth and tissue configuration, and therefore, it is very important for the healthy growth of the fetus. Almonds or Badam are rich in folic acid. 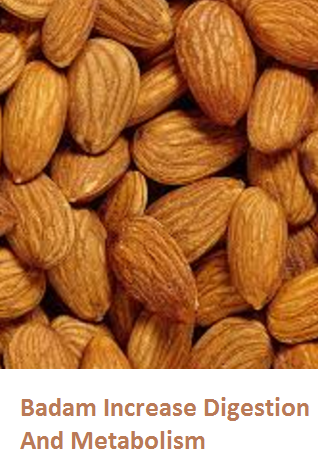 Pregnant women should have almonds daily to give birth to healthy babies. Almonds contain riboflavin and L-carnitine, nutrients that help in the growth of the brain cells. Phenylalanine is a brain-boosting chemical that helps with our cognitive functions. Almonds are rich in these brain boosting chemicals. 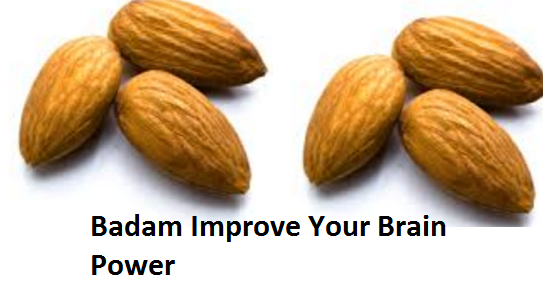 Almonds are also said to improve your memory. Hence mothers in india feed their children badams during exam period. Calcium and phosphorus are two nutrients most needed for having healthy and strong bones and teeth. 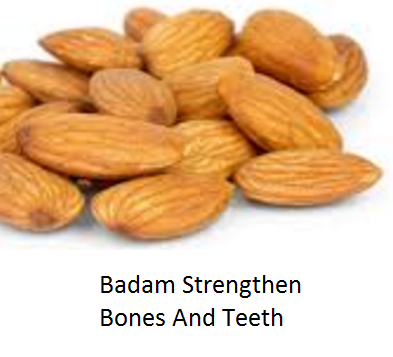 Almonds or badam are rich source of calcium and phosphorus which improves bone mineral density and strengthen the bones and teeth. Anemia is a condition which is caused due to deficiency of hemoglobin in the blood, which causes pallor and weariness. Iron, Copper and vitamins present in almonds work as a catalyst in the synthesizing of hemoglobin. 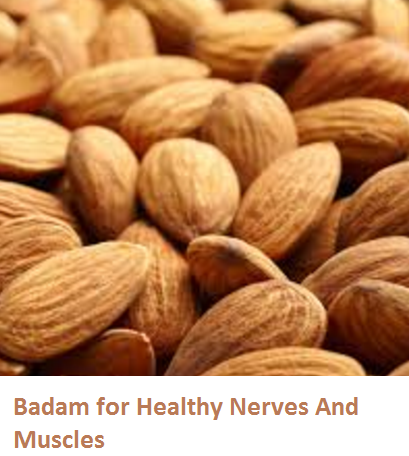 Hence almonds work great as a Remedy for Anemia. 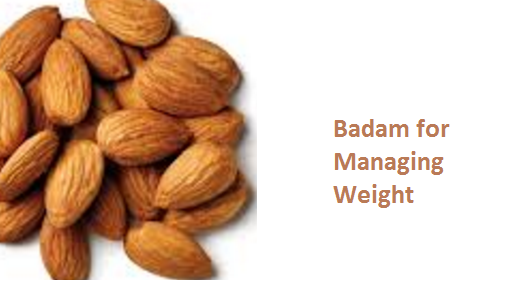 You often must have read about certain food items which help in losing weight, Almonds are one of them. Almonds are rich in fibre and high in proteins. Being high in fiber almonds aid with digestion. 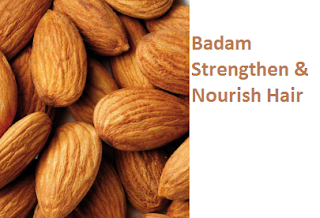 As almonds have high protein content that helps in the development of lean muscle mass. 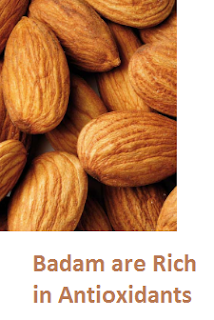 Almonds being rich in proteins tends to keep you full for a longer time without adding those extra calories. Magnesium is essential for healthy nerve and muscle function. Almonds are rich in magnesium which has multiple benefits for the nervous system. 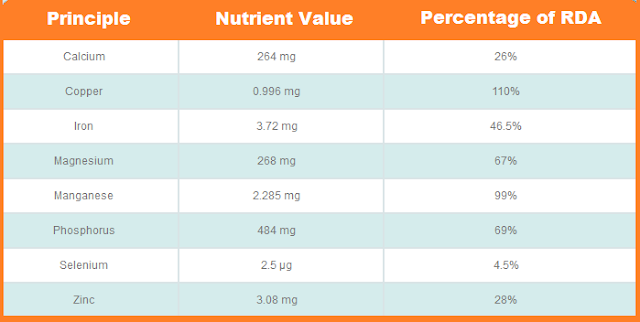 A 30gm serving of Almonds provides nearly 75% of the dietary magnesium requirements of the body. Almonds are a rich source of vitamin E which is a natural antioxidant. Having a few almonds daily will protect the tissues from oxidative damage. Having a few almonds takes care of nearly 30% of your daily Vitamin E requirement. Almonds are rich in fiber. Fiber aids with digestion. Having a few almonds daily helps with digestion problems. Better digestion helps to remove toxins from the body increasing the rate of metabolism. Almonds are a rich source of proteins which helps in improving muscle health by repairing the damage done to the ligaments and tissues. Almonds are also used in sports drink as it reduces body fatigue. Almonds contain potassium which is a mineral that constitute electrolytes in the human body. These electrolytes are charges that boost memory. 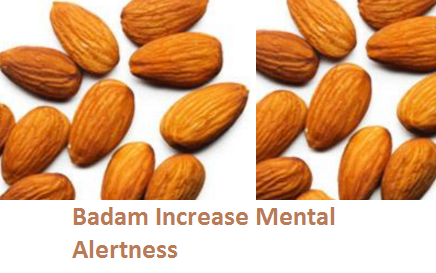 Hence almonds are great to improve memory. A new study shows that eating a few almonds daily can help the body to fight off viral infections such as the common cold and flu. 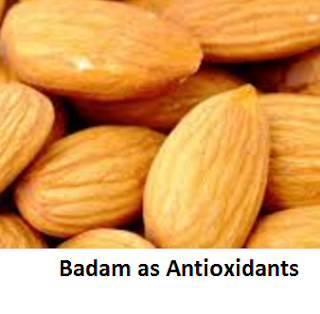 Almonds contain natural chemicals which improves the bodys immune system. 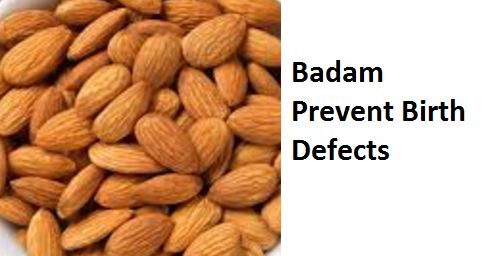 Eating almonds improves the ability of white blood cells to detect the viruses and stop them from spreading. 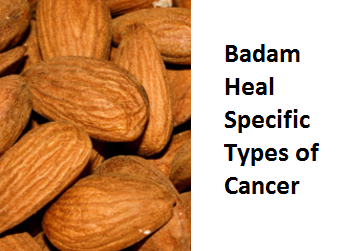 Almonds are very high in fiber, improve the movement of food through the colon, lowering incidence of colon cancer. Almonds can reduce the risk of developing breast cancer. Almond oil contains olein glyceride linoleic acid which makes it an excellent moisturizer. It helps to prevent acne, black head and prickly skin. Vitamin E present in almonds helps to keep your skin healthy and glowing. Almond oil is also used to massage babies. Almonds are loaded with vitamin E which helps protect the skin from harmful UV rays. 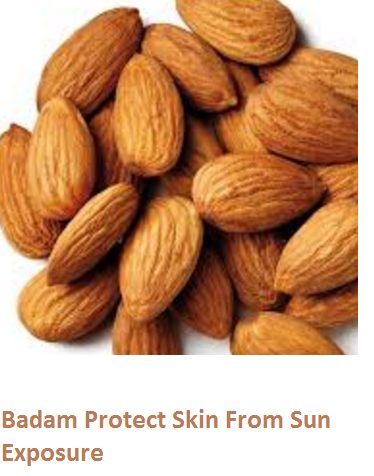 Almond milk is also used to treat sun burnt skin and other askin damages. 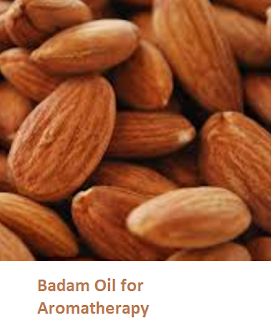 Almond oil extracted from almonds is widely used in Aromatherapy to massage the body. As almond oil is easily absorbable it's great for all skin types and has a very soothing aroma. Using almond oil for Aromatherapy leaves the skin feeling healthy, young and aromatic. Almond oil is packed with antioxidants, high in vitamins E, A, D and B, contains protein, essential minerals and healthy fats as well. It is also rich in oleic and linoleic acids making it very nutritional for the skin. Almond oil is a good natural moisturizer because of the high levels of fatty acids. 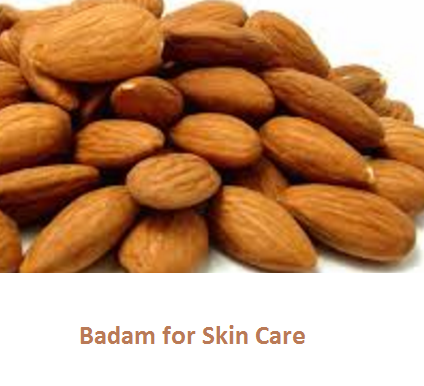 Fatty acids present in almonds help the skin lock in moisture by forming a protective barrier. Dirt and oil trapped in the pores of the skin are the main cause of acne, Blackheads, and Whiteheads. Almonds are rich in fatty acids which controls the amount of oil secreted by the sebaceous glands and prevents breakouts. 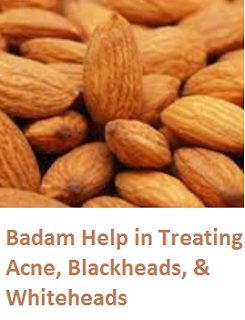 Applying almond oil soothes inflammation and reduces rashes. People have been using almond oil to treat skin problems for ages. Almond oil has anti-inflammatory properties , so it reduces puffiness of the eyes and dark circles. Almond oil is loaded withvitamin K, which improves clotting, reducing discoloration under the eyes. It contains palmatic acid and retinol, which moisturize delicate under-eye skin, leaving it soft and smooth. 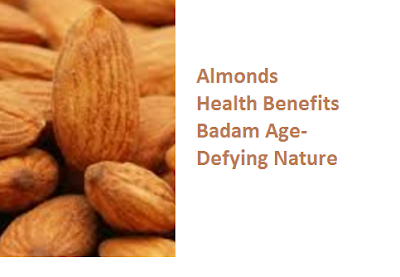 Almonds are rich in age defying properties. Almonds oil helps fight signs of aging keeping the skin supple and youthful. Make a face pack using honey, almond oil and lemon juice in equal quantities. Bitter almond oil contains a toxic component called glycoside amygdalin which has the capacity to turn the nerves insensitive temporarily. Please note that bitter almond oil should only be used externally as it's toxic. Consuming it may cause severe health issues. Almonds are high in fiber, calcium, magnesium, and useable protein that helps stabilize blood sugar and remove impurities from the bowels. Almonds make a great exfoliating scrub which is essential to maintain a proper skin care. This exfoliating scrub helps to even the tone of your skin and clears it of impurities. To make this scrub you need to grind a few soaked almonds and add 1 teaspoon of honey and 1 teaspoon of yogurt to it. Massage this scrub on your face and rinse it using cool water. 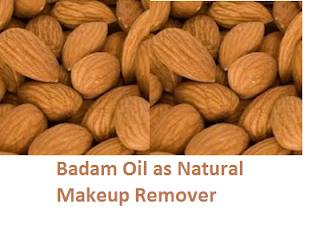 Almond oil works as a natural makeup remover which doesnt contain any harmful chemicals. It is gentle on your skin, and it removes makeup without any problems. Almond oil doesnt leave your skin oily or with any residue on your skin. 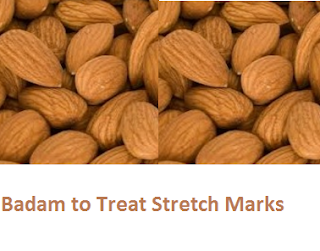 Almond oil has emollient properties that are very effective for treating stretch marks. Almond oil nourishes and strengthens the skin. Massage slightly heated almond oil on your stretch marks in circular motion twice a day for best results. Antioxidants are substances that help prevent the damaging effects of oxidation on cells throughout your body. Almonds are loaded with antioxidants like vitamin E. Antioxidants help in boosting your immune system. Antioxidants delay the process of aging. Almonds are loaded with hair friendly nutrients. Almond oil is easily absorbable by the scalp. These nutrients work in your hair to make them healthier. 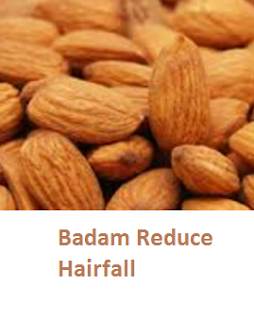 Fatty acids present in almonds moisturizes your hair making it soft and strong. Almonds are loaded with magnesium which is an essential nutrient for healthy hair growth. 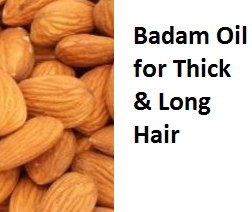 Almond oil works as an excellent moisturizer to fight dandruff and promote hair growth. If you have dandruff then almond oil is a great home remedy for it. 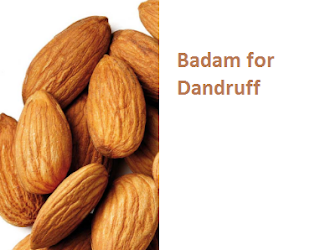 To treat dandruff mix one part almond oil with one part neem oil and massage it on your scalp. Almond oil works to moisturize the scalp while neem oils anti bacterial and anti-inflammatory properties treat dandruff and inflammation. Deficiency of magnesium is the main cause of hair fall. Its very important to have magnesium in your diet for healthy hair. Almonds are loaded with magnesium, making them great for people who have hair fall issues. Almond oil nourishes and strengthens your hair. It is loaded with nutrients which provide nourishment to your hair so that it can grow thick and long. Heat 3 tbsp of almond oil 2 Tbsp of castor oil and 1 hibiscus flower and mix well. Leave the mixture to cool. Apply this oil and massage it on your scalp for 10 minutes. Wash you hair with a shampoo. Almond oil is loaded with vitamin E which conditions the hair follicles and smoothes frizzy hair without making the hair oily. 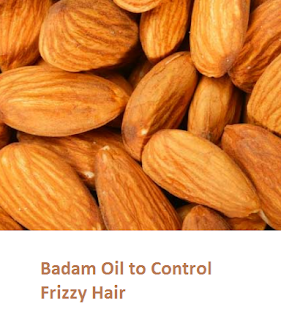 Applying almond oil aids in controlling frizzy hair. If you want to have soft and silky hair try this henna and badam oil hair mask. To make this hair mask you need to mix henna powder, water, one egg and 2 tablespoon badam oil. Leave this mixture overnight in a bowl. Apply this mixture on your hair and let it sit there for at least 4 hours. Finally Wash your hair with mild shampoo. Almond oil is rich in fatty acids which work as great moisturizer for your scalp. Daily damage caused by dirt, dust and pollution leaves your scalp dry and damaged. Almond oil goes deep into the hair shaft and softens scalp tissue to treat scalp inflammation. Dry, dehydrated hair gives way to graying of hair as there is a loss of moisture. Oil your hair regularly with almond oil which penetrates deep within the hair and moisturizes it. The most beneficial things in almond milk are all of the vitamins, minerals, and skyrocketed levels of antioxidants. Like many other benefits of almonds, almond milk is very good for you and your health.